We haven’t had many enchiladas. 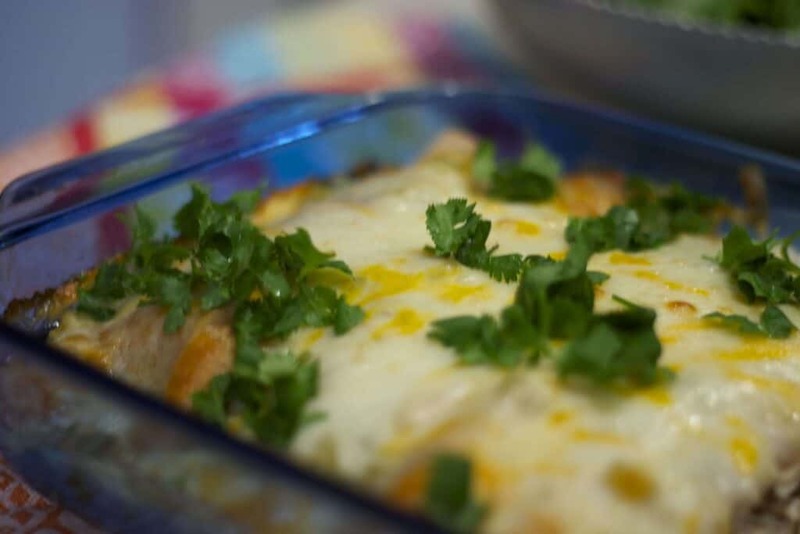 Since I’d been seeing a lot of white chicken enchilada recipes on Pinterest, I decided to prepare some by slightly modifying the Pioneer Woman’s recipe. This version contains shredded chicken, minced onion, garlic, jalapenos, diced green chili, and one of my all time favorite ingredients – cream cheese! Maybe it’s the Philly girl in me? Isn’t everything better with a little cream cheese? 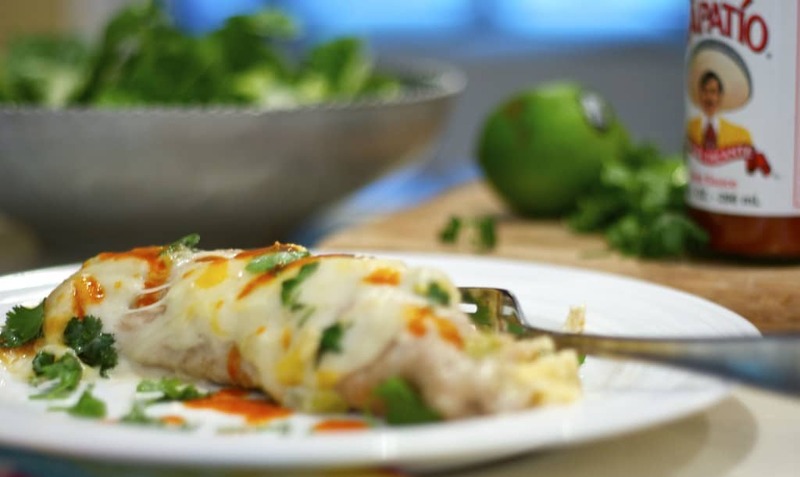 You can dial the heat up or down by modifying the amount of jalapeno in the filling and picante sauce as a condiment. This version is also topped with fresh cilantro – one of my all time favorite herbs. We all really enjoyed it, and hope you do too! 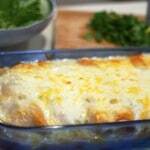 A very creamy, very cheesy, one-dish Mexican chicken casserole that will ruin your diet! Add the cream cheese and continue cooking until the cheese is softened and incorporated into the vegetable mixture. Roll each enchilada, and place them seam side down into a prepared baking casserole.